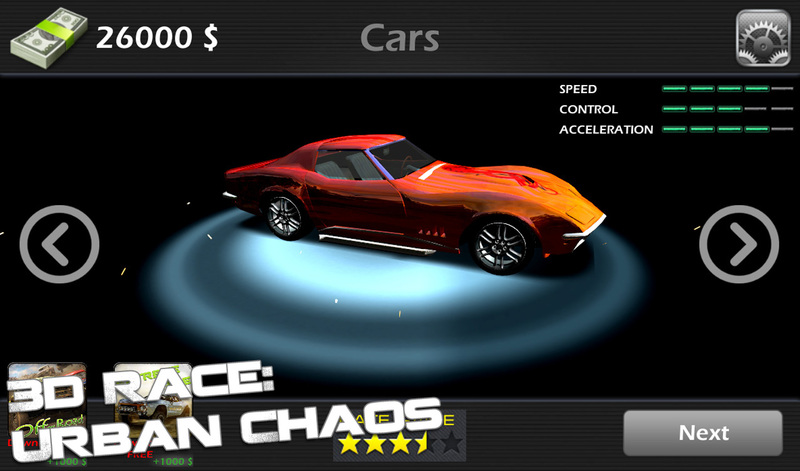 Game 3d Race: Urban Chaos - a race for a small town. - Race against the clock on a given route chase, forget about the brakes, you need to be on time. 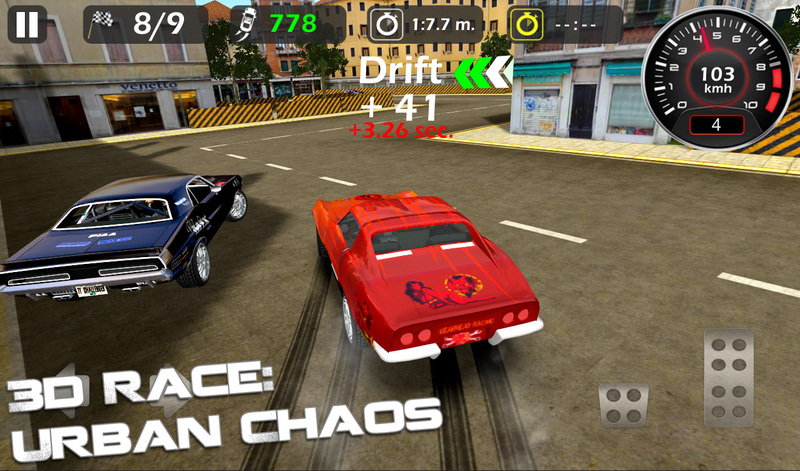 - The race with bots, you go 3 bot who also did not want to lose. 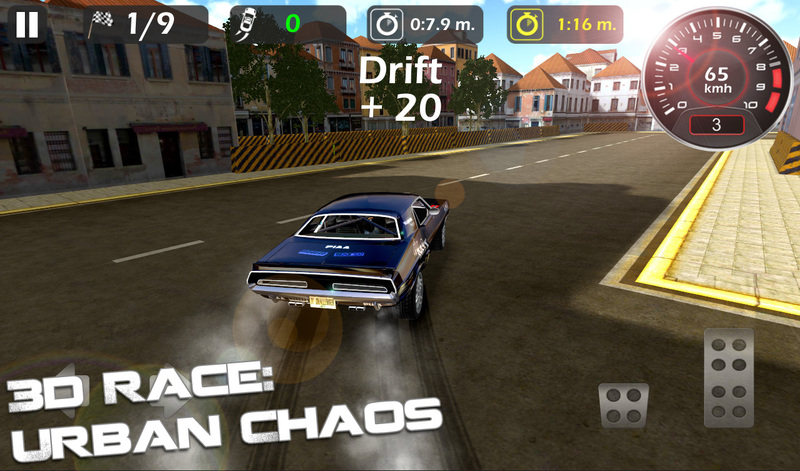 - Drift, show what you can dial the desired number of points that would win. For the money you receive for winning can buy a new car. 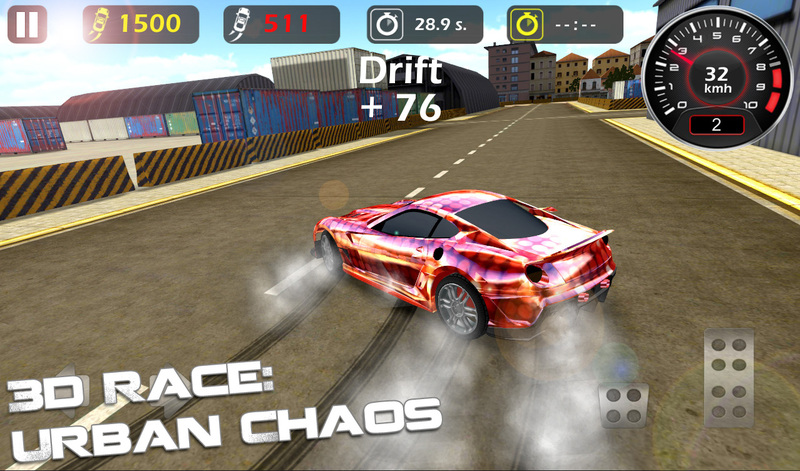 If you find it difficult to pass the race to open a new route, you can buy it for play money. 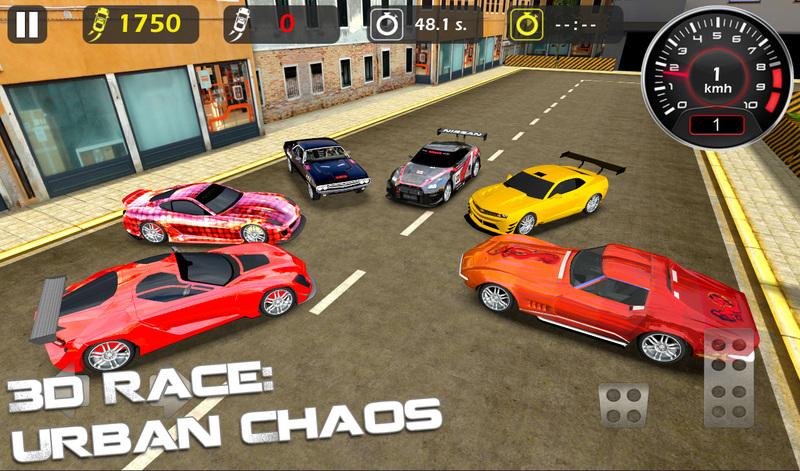 For the player represented 6 super cars.